Orea range provides extraordinary levels of isolation, available in Indigo (weight up to 7.2kg) or Bordeaux (weight up to 14.5kg). We also sell the Gaia range. 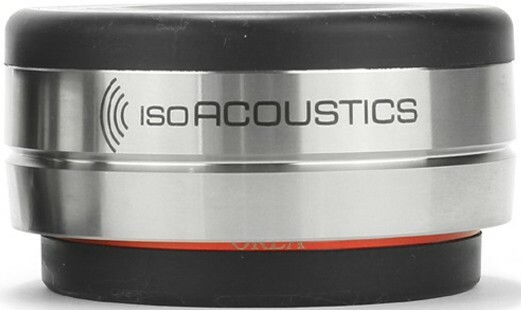 Iso Acoustics Orea Bordeaux Isolation Puck is the same as the Indigo model in every way except that it is designed to accept heavier equipment as each puck can accept up to 14.5kg each. The isolation puck removes parasitic vibration uncovering new levels of sound clarity and openness when used with amplifiers, monoblock amps, DAC’s, CD players, turntables and more. Applying patented IsoAcoustics design principles provides the highest degree of vibration isolation and energy management for high fidelity audio components. Whereas the GAIA is designed for speakers, these are designed for hi-fi separates including amplifiers, DACs, streamers, turntables, CD players and more. For the most cost-effective solution, these are sold separately rather than in packs as some separates have 3 rather than 4 legs. This means you'll only pay for what you use. 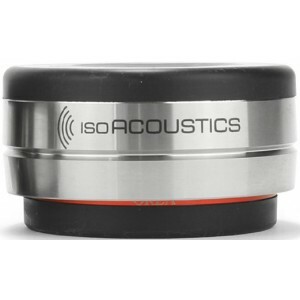 Iso Acoustics Orea Bordeaux Isolation Puck has a maximum capacity of 14.5kg each. To check if it is compatible with your equipment, add up the weight of the item to go on top and divide by the number of legs. If your answer is below 14.5Kg, you will be able to take advantage of this intuitive isolation puck. If it is below 7.2kg, you may be better off with the Orea Indigo.